I write a column for Canada’s Western Catholic Reporter newspaper. One of my recent articles was published under the title “Withholding water and nutrition means murder” (see http://www.wcr.ab.ca/columns/markpickup/2007/markpickup100807.shtml). It dealt with the subject of euthanasia by withholding food and water from dying or disabled people. “no matter how far my aggressive, degenerative multiple sclerosis goes, my Church a nd Catholic health care providers (or Muslim health care providers for that matter) will stand for my inherent human dignity and my right to proper, caring and humane medical care. They will not let my humanity be diminished or stripped from me. Or to use the words of Pope John Paul, "A man, even if seriously ill or disabled in the exercise of his higher functions, is and always will be a man, and he will never become a "vegetable" or an "animal." Shortly after publication, I received a letter in an envelope with no return address. I was led to believe the author was a priest. He was wary – for whatever reason -- of identifying himself. I will call him Father X. Apparently another Roman Catholic facility encourages families not to hydrate dying family members. The case manager of that facility says that patients die quicker without water. No kidding. Euthanasia tends to do that. Withholding food and hydration is nothing short of torture and murder. Assuming Father X is legitimate should I believe the letter? I don’t know, but after the Vatican recently cleared any confusion that may have existed about withholding food and water from patients, we must demand adherence to Church teaching in Catholic health care institutions. The Vatican said unequivocally (as they have before) that maintaining that providing nutrition and hydration to dying people is morally obligatory. I am inclined to think that there may have been occasions where some Catholic health care facilities may have played loose with their understanding of Catholic teaching on withholding food and water from dying people to in order to hasten their deaths, and feigned moral confusion. After all, hospital beds are at a premium. Pursuing the deaths of patients must stop. Unfortunately, the anonymous nature of the letter is cowardly. What am I supposed to do with it? I can’t approach the case manager of the facility the mystery priest identified. I do not even know if he is actually a priest: the letter was signed Fr. ── . It may be a lie. That’s why I am not identifying the facility that was named. If the accusation is not true and I identify the facility, I would have brought discredit upon a reputable Catholic health institution. I invite Fr. X to write to me at my personal Email address MarkPickup@shaw.ca so we can discuss the substance of his letter more. Until then, I must file it under ‘hearsay’ and invite all Catholic health acute care hospitals, nursing homes and auxiliary health facilities to take the high road and behave according to the direction of Catholic moral teaching and not participate or advocate any practice designed to hasten a patient’s death. See Catechism of the Catholic Church (Nos 2276-2279). On the October 3rd edition of ABC’s talkshow “The View”, liberal icon and stalwart Whoopi Goldberg took the network’s token non-liberal to task for saying Hillary Rodham Clinton’s proposal to give $5,000 'Baby Bond' program might help reduce abortions in America. How dare Hasselbeck, or anyone else for that matter, suggest a reduction in abortions in America! GOLDBERG: Elisabeth, Elisabeth, can I ask you one question–can I ask you a question? I just have to ask you this question since you opened this door. GOLDBERG: Have you ever been in a position to have to make that decision? GOLDBERG: Okay, then back off a little bit. Back off a little bit. Very few people want to have abortions. HASSELBECK: I'm sure they don't. GOLDBERG: See, I was listening. HASSELBECK: I was just affirming what you said. GOLDBERG: Most people do not want to have abortions. Most women do not have them with some sort of party going on. It is the hardest decision that a woman ever- wait- ever has to make. So, when you talk about it, a little bit of reverence to the women out there who have had to make this horrible decision. And one of the reasons that, that we have had to make this decision is because so many women were found bleeding, dead, with hangers in their bodies because they were doing it themselves. The idea of this was to make it safe and clean. That was the reason the law came into effect. That was why it was done. Goldberg’s pro-abortion tirade was met with enthusiastic applause. It should be noted that WG’s “very few people want to have abortions” means little when 50 million preborn children are dead in the 34 years since Roe v. Wade became the law of the land. I agree with Whoopi that most women do not want to have an abortion. It is a horrible option. It is a terrible thing to kill one's offspring. Granted, there is the odd woman who takes abortion casually, and may have had five or six abortions and even made jokes about it, but they are rare and hard-hearted birds. Goldberg’s coathanger reference harkens back to the late 1960s fictitious claims by abortion advocates -- based on zero statistics – that at least a million or so illegal abortions occ urred annually in America. The actual average number of illegal abortions from 1940-1967 was 98,000. Groups like the National Association for the Repeal of Abortion Laws (NARAL) were over-estimating the abortion numbers by over 1,000 percent! This was an average of 131 maternal deaths annually. This was a tragedy to be sure but a far cry from the 5,000 – 10,000 maternal death NARAL fed to public and the media eager to report anything promoting abortion. We must understand that making abortion legal does not make it safe. In the years after Roe v. Wade, 1.5 million abortions occurred annually. Over 50 million American children have been aborted before they ever saw the light of day. It would be interesting to know how many women have died after Roe v. Wade. 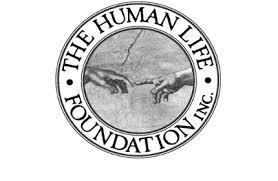 Although it’s difficult to ascertain, the American Life League in Stafford Virginia has amassed a long and exhaustive list of women who have died because of complications from abortions. Absolutely tragic! After Canada's king of abortion, Henry Morgentaler, set up one of his lucrative abortion clinics in Edmonton, an local Obstetrician/Gynecologist shared with me that local hospital Emergency departments experienced a sharp increase in abortion-related complications. I asked why this had not come out into the open. He retreated back into his shell. Apparently the Gynecological community is a timid lot who would rather have quietly continued repairing damaged women than face the wrath of local pro-abortion press like the Edmonton Journal. In a strange and perverted way, many local doctors were glad to see Henry come to town and do the dirty business of an abortionist (oops, "abortion provider") and let real doctors be healers rather than baby killers. Abortionists are society’s scum. They prey on desperate women and kill their children for money. At a different time they would considered amongst amongst the lowest of criminals. The women are left to deal with the guilt of having sacrificed their children in a desperate and terrible moment. 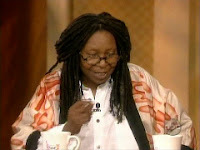 No, Whoopi, we should neither “revere” women who abort their children, or the abortionist who does the despicable deed. Civilized societies must view abortion with disdain not reverence. It kills a child in utero and scars the mother – sometimes physically, often emotionally, always spiritually. Civilized societies must have pity and compassion for women victimized by abortion, but never revere what they have done in an irrational and desperate moment. Love the victimized mother, mourn the death of her child that the abortionist has destroyed. Work to make abortion a crime that it once was so abortionist (not their victims) can be jailed. Abortion is an evil in society, and an attack on individual human dignity, the common good and our collective humanity. Horan & Mall, New Perspectives on Human Abortion 80 (1981) (abortion-related maternal deaths).